Call (604) 929 7277 to register for paid tastings. Pinot Noir is a fascinating wine. From growing the grapes to exploring its global range, key winemakers, and perfect food pairings.There’s no other grape like Pinot Noir with its wonderfully heady perfumes, and thrillingly pure red berry flavours of raspberry, loganberry, mulberry, cherry, and strawberry. It's not too dry, but certainly not too sweet making it a favourite all around the world. Just in time for Easter, Pinot Noir is the perfect accompaniment for your upcoming dinners this holiday weekend! The sun is out, and the sunglasses are on, Spring is officially here and for many of us that means the return of BBQ season! We all know a burger and beer are natural summertime buddies, but wine might just be a burgers new best friend. Join us on Wednesday April 24th from 7-8:30pm and spend the evening with us tasting your way through some fantastic burger + wine pairings, you may even discover some new favourites! It’s hard to resist a good merlot with its soft, ripe and elegant characteristics. This classic grape varietal is approachable yet sophisticated and is often recommended as the entry grape into red wine. Don’t miss your chance to try some of our exclusive merlots today at the tasting bar! We’ve seen some incredible new wines come through the door at Everything Wine, and we want to shine some light on some of our NEW staff favourites. Featuring a portfolio of new in store products, be sure to stop on by the tasting bar and try something NEW this Tuesday! Is there a more joyous, sound than the pop of a Champagne cork? Come in and add some sparkle to your day with some delicious sparkling wines. Bring on the Bubbly! The much anticipated final season is only a few short days away and we want to ensure you are fully prepared for your season premier viewing party. Toast to the acclaimed HBO series and celebrate the final season with the official Game of Thrones wine! Only available while quantities last, you do not want to miss out! Ever curious to know what wines our Everything Wine staff have been loving? You’re in luck as we will be featuring a varied selection of some our staff favourites at the Tasting Bar today! Let us guide you through our selections and find out why those wines have become some of our top picks this season. The sun is out, and the sunglasses are on, Spring is officially here and for many of us that means the return of patio season! Kick starting the best time of the year with a feature of our perfect patio pleasers. 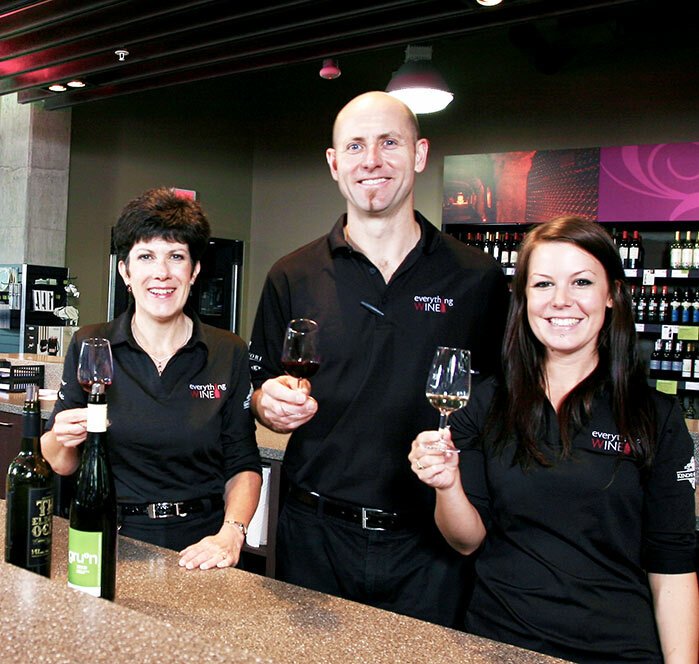 Join us at the tasting bar from 2-6 pm for your FREE tasting and toast to patio season! Delicious wines at unbeatable prices, what more could you ask for? Join us this Monday for our 2 under $15 feature and see what every day, great value wines we’ll be pouring today!